I have a Control-3 module I’ve been using for years, with a MOTM power. I removed the module from my case this week (just moving around modules) and now, suddenly, it is no longer outputing any voltage from any of the outputs! I checked the REF output and there is no voltage there. I checked U1 and don’t see any voltage there either. I checked all of the chips, they are in securely and nothing looks wrong on the PCB or wiring. Since all four outputs are dead, I assume it is something obvious, but I’ve exhausted my (limited) electrical knowledge. Could someone point me in the right direction to troubleshoot the issue? A Control-3? That takes me back a bit. If you've no voltage on REF then that would explain why you have no voltage outputs. The problem is either with the reference voltage circuit, or you have a wiring fault. I'm thinking the latter since the module was working before things were moved around. A lack of 0V (via pin 2 on the power header) on the module might explain things. +/-15V would read just fine if you took your black lead of your multimeter to the panel or the socket ground. But REF (and the rest of the electronic circuitry) needs a solid pin 2 connection. It would be worthwhile just checking the resistance (when the modular is powered down) between the ground lugs on the module's sockets and module 0V on pin 2 of the module's power header, PWR. You are looking for close to zero resistance. I notice that the ground lugs of the sockets on my module are not connected to PN1 or PN2 - they were not before either. It looks like the person who built the module just commoned the grounds together? I’ve attached a photo. I assume I should connect the ground lugs to PN1? I’m not sure why/how it was working before. Definitely connect the socket lug connection to PN1 or PN2. However, I'm not sure that would cause REF to fail. 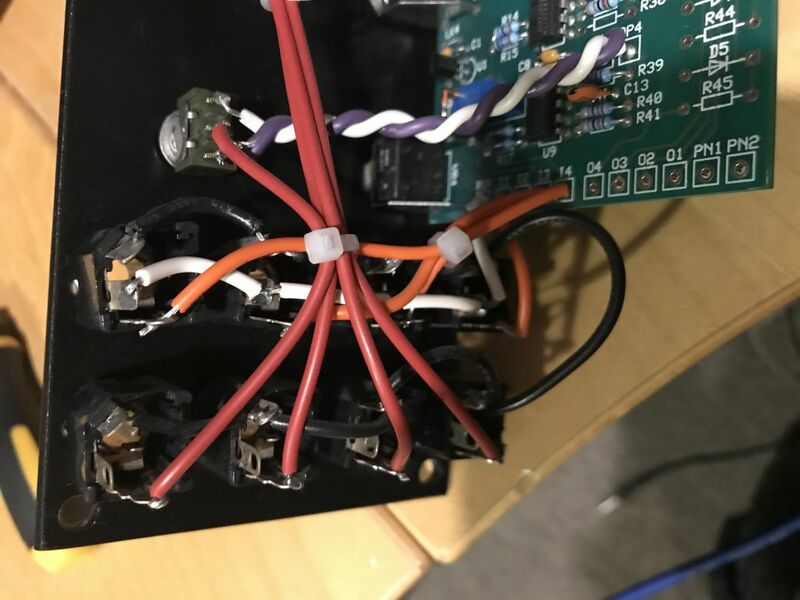 Normally if the ground lugs aren't connected then the cable will not be screened at one end - the module will still appear to work fine since the cable will be screened at the other end. Unless you are connecting between two systems that do not share a common ground (0V). So get that wire put in and give it another test. Then check what voltage there is on that white wire on the top row of sockets with respect to the black ground wire. That should be the reference voltage. If it is dead then the reference chip may well have died. Connecting the ground lugs to PN1 and PN2 seems to have fixed things. Thanks Tony!